I made these for our Superbowl appetizer dinner. I always make a big deal about our nibbles for the Super Bowl. I have made spicy wings before and thought I would make something tamer and not burn up hubs stomach. These are so delicious. Marinate in the refrigerator before you cook them in the crock pot. Then put them under the broiler after they are tender. Very moist and delicious. These disappeared quickly! Transfer chicken and marinade to a 5-qt. slow cooker. Cook, covered, on low 3-4 hours or until chicken is tender. Using tongs, remove wings to a serving plate. Yield: 20 servings. To brown wings before serving, preheat broiler. Using tongs, remove wings from slow cooker to a foil-lined baking sheet. Broil 3-4 in. from heat 3-5 minutes or until lightly browned. We love wings at our house. I’ll have to try these. I buy the wingettes so no cutting involved. Definitely will brown in the broiler. 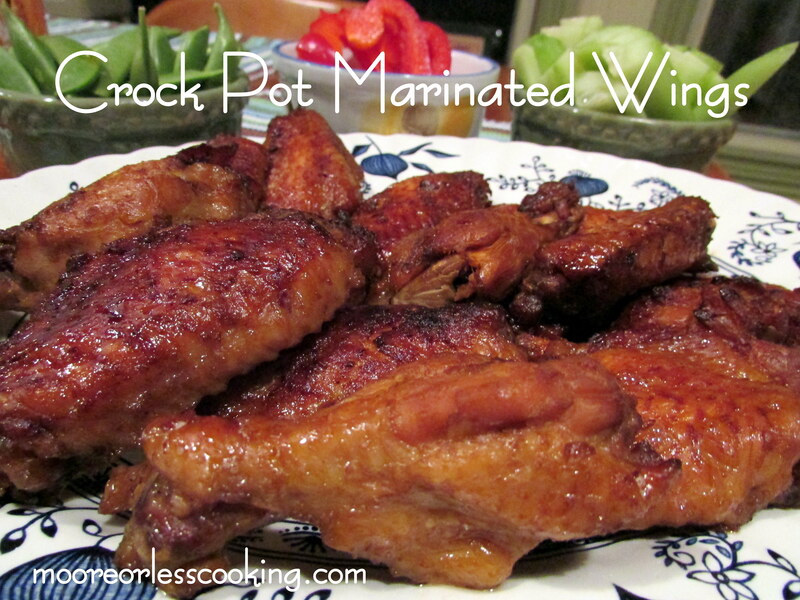 Wings are a favorite in our home, so I’m going to have to try this easy recipe. Pinned! Loving all the flavours and spices going on in this dish marinade definitely looks delicious and something I would LOVE to eat. I and My wife both love wings at our house.